(Natural News) American citizens and taxpayers are already receiving some relief as a direct result of the Executive Order titled “Minimizing the Economic Burden of the Patient Protection and Affordable Care Act Pending Repeal” that President Donald Trump signed on January 20, 2017, the day he was inaugurated. Trump has promised to repeal and replace the Patient Protection and Affordable Care Act, also known as Obamacare, and this is one step in the right direction. 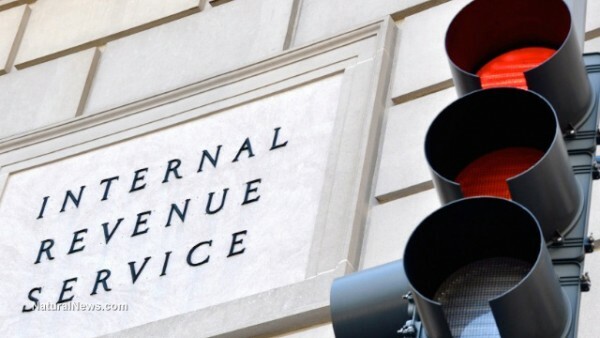 The IRS will not enforce a piece of Obamacare requiring taxpayers to specify on annual tax returns whether they had health insurance the previous year. Americans are required under Obamacare to either have health insurance or fork over a tax penalty. Originally, the IRS intended to address that issue through 1040 tax return forms for 2016 on line 61, which people filing their taxes would have to fill out specifying whether they had health insurance coverage or if they had to pay the penalty. Or they could have completed and filed tax form 8965 in an effort to claim an exemption from Obamacare’s requirement. Because most tax filers would not have qualified for an exemption, they would have had to complete line 61. The IRS would potentially reject tax returns on which line 61 was not completed. But the IRS has started making it optional to complete that line. It does say it may follow up with tax filers who leave 61 blank, but it is not clear at this point whether it will really follow through on that. Time will tell how this all plays out, especially depending on how Trump and his administration move forward with repealing Obamacare. This news regarding the IRS is a real win for taxpayers who were experiencing economic and other burdens as a result of the Obamacare legislation. As Trump emphatically said in his press conference on February 16, he inherited a “mess.” Obamacare is just one piece of that mess, but let’s hope the botched attempt at providing health care and insurance coverage will soon be in the rear-view mirror. Meanwhile, keep in mind that the best “health insurance” involves leading a healthy lifestyle consisting of essentials like organic food, quality nutritional supplements as needed, daily movement and exercise, adequate sleep, stress management, natural healing and remedies, immune system-strengthening strategies, and toxin avoidance. Invest your money, time and effort in those, and you’ll be providing yourself with true health coverage.